All three books in this completed series for one price! Clara has it all. A wrestling star boyfriend, popular friends, all the right school activities...pretty much a perfect life...up until her parents died. Now she lives with the Pastor and his family and though they take good care of her, she feels alone. Then her boyfriend, Tate, starts to show signs of trouble when a new guy, Eli, comes to town. Clara is fascinated with him but hides it until something happens. Eli confesses to her that she gives him something he's never had before...something he needs. Everything it about to change for this normal pretty popular girl in a supernatural way. His brother is human, the thing he hates. When a girl needs his help, that split second decision changes his whole world in one instant. Impatiently waiting for more of your work to be published. While in theory I know its impossible to expect you to write one to two books a day to keep up my obsessive reading habit, there is no author I consistently enjoy reading more than you! Keep up the good work. Any idea of a solid release yet for consume? I check amazon almost.every day for more of your work! I absolutely love the devour series.To all of you who love shelly cranes work check out my blog at www.mckenziewilliams.blogspot.com for my upcoming books. Please let us know the date soon for next book. DO you know when the 2nd book will come out yett? i really think you are a wonderfully,awesome writer. just love the signficance series,just finished "definace",cant wait for the last book in the series, but now i hope you say the 2nd book in the devour series is soon. thank you for the great books keep it up. Can't wait for the second book! Shelly I think your an amzing author and I also loved the significance series and can't wait for the last one to come out!! Any clues as to when either of them will be coming out?? you are an amazing author! I cannot wait for the second book! When do you think Consume is coming out?? Want to know SO bad!!! Loved the first book! Oh and who are the model/random people on the cover of this series? O'm so excited for Consume to be released! Can not wait for Enochs book!!!!! Super excited!!!!!!! THis is going to sound lame, but I loved how sensitive Eli was. He was just so dang adorable! And he loved Clara soooo much. I'm sad that their story is over, but look forward to Enoch's. Oh how I've been waiting for this book! I so LOVE the first two and can't wait to continue the adventure. 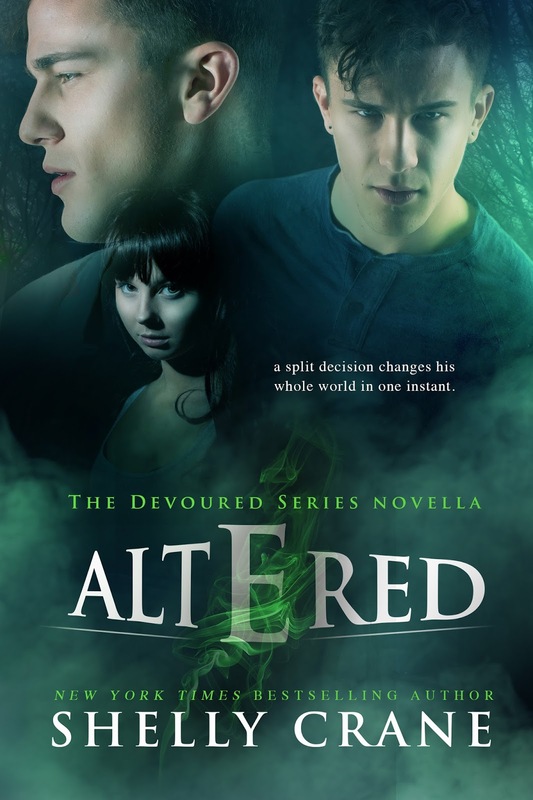 When is Altered coming out???? I started by reading your significance series (which I love). Couldn’t get enough of your books. 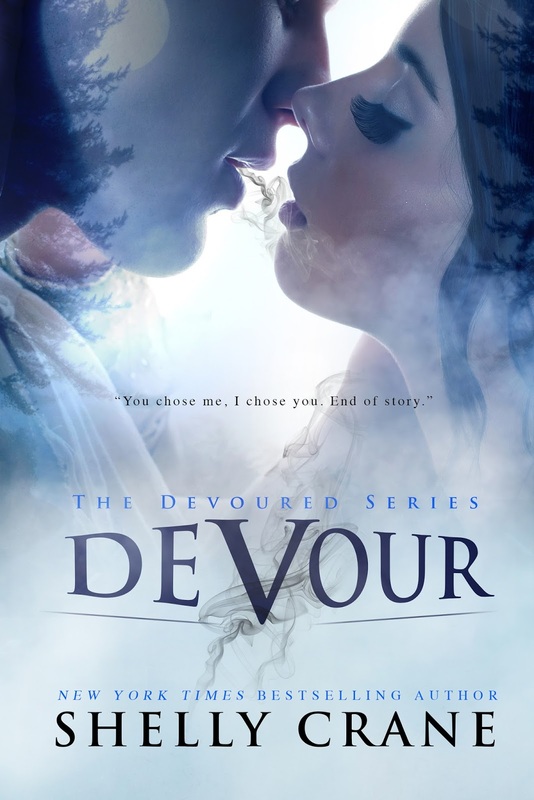 So since I been waiting for your next book to be released in that series, I read your Devour Series. Even though it’s only 3 books in the series I was heartbroken when I was done. Heartbroken because I finished the series and I wanted more!! I fell in love with Enoch from the first book and once I got to the 3rd book I was hopelessly in love!!! Is there anyway for more books to be added to this series??? Please say yes?!?!? Would love to see another book maybe them in 5 years??? Thank you for all your fantastic books!! !